A forecast by India Meteorological Department indicates that “heavy to very heavy rainfall” is likely at a few places and “extremely heavy fall” at isolated places over Konkan and Goa, central Maharashtra from June 7-12. The Union government on Wednesday warned Kerala, Karnataka, Maharashtra, Goa and Gujarat on India’s western coast that heavy rainfall this week may lead to “flash floods” and swelling of rivers originating in the Western Ghats. 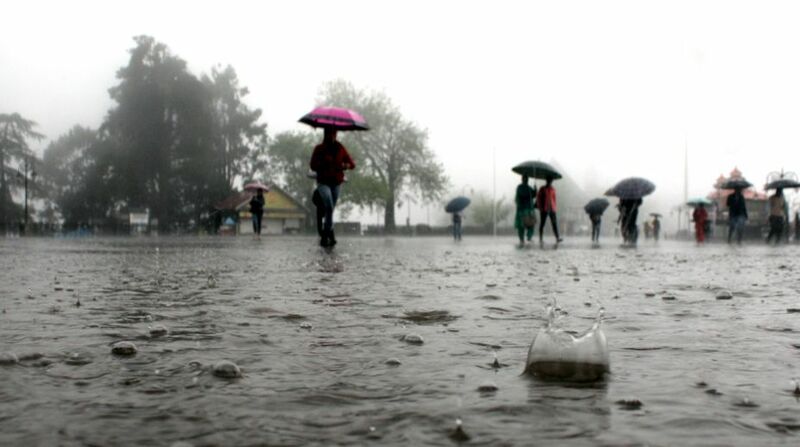 A forecast by India Meteorological Department indicates that “heavy to very heavy rainfall” is likely at a few places and “extremely heavy fall” at isolated places over Konkan and Goa, central Maharashtra from June 7-12, the Ministry of Water Resources said in an advisory. “Heavy to very heavy rainfall” is likely over coastal Karnataka tomorrow and throughout the state between June 9 and June 11, and at isolated places over Kerala on June 9-10. There is a possibility of rise in water levels in river basins between Tapi and Tadri, Godavari and its tributaries near the west coast, Krishna and its tributaries near the west coast, Cauvery and its tributaries near the west coast and in rivers between Tadri and Kanyakumari, it said. Due to very heavy rainfall forecast in Mumbai and advance of the southwest monsoon causing tidal waves, there is a likelihood of a few areas of the metropolis being inundated. “Rivers having source in Western Ghats and flowing into Arabian Sea may witness flash floods in association with the forecast rainfall. Since most of the rivers are dry, necessary precautions to control the activities along the riverbed may be taken as (water) flow may increase suddenly drowning men and materials,” the advisory warned. The Damanganga river and its tributaries are expected to rise in Nashik district of Maharashtra, Valsad district of Gujarat and Daman district in Daman and Diu, it said. The Godavari river is likely to rise in upstream reaches in Nashik, Ahmednagar and Aurangabad districts. The Krishna river and its tributaries are likely to rise in Satara, Sangli, Kolhapur, Pune, Sholapur districts in Maharashtra and Bagalkote, Vijayapura and Kalaburagi areas in Karnataka. The Chikmagaluru, Shivamogga and Bellary districts in Karnataka may also see swelling of Tungabhadra river. Rivers flowing west into the Arabian Sea, south of Tapi in Maharashtra, Goa and Karnataka are also likely to rise and inundate areas in Raigad, Thane, Ratnagiri and Sindhudurg districts of Maharashtra and in Uttara Kannada, Udupi and Dakshina Kannada districts in Karnataka. The Cauvery river and its tributaries in Kodagu, Chikmagaluru, Hassan and Mysuru districts of Karnataka and Wynad district of Kerala are likely to rise following the predicted rainfall.